Witchy Words: Winter Solstice / Yule: Ten ideas for solitary witches! 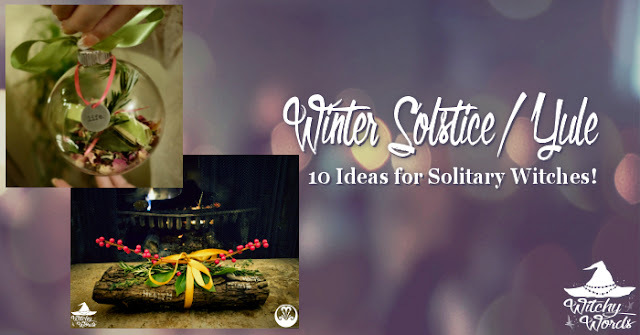 Winter Solstice / Yule: Ten ideas for solitary witches! 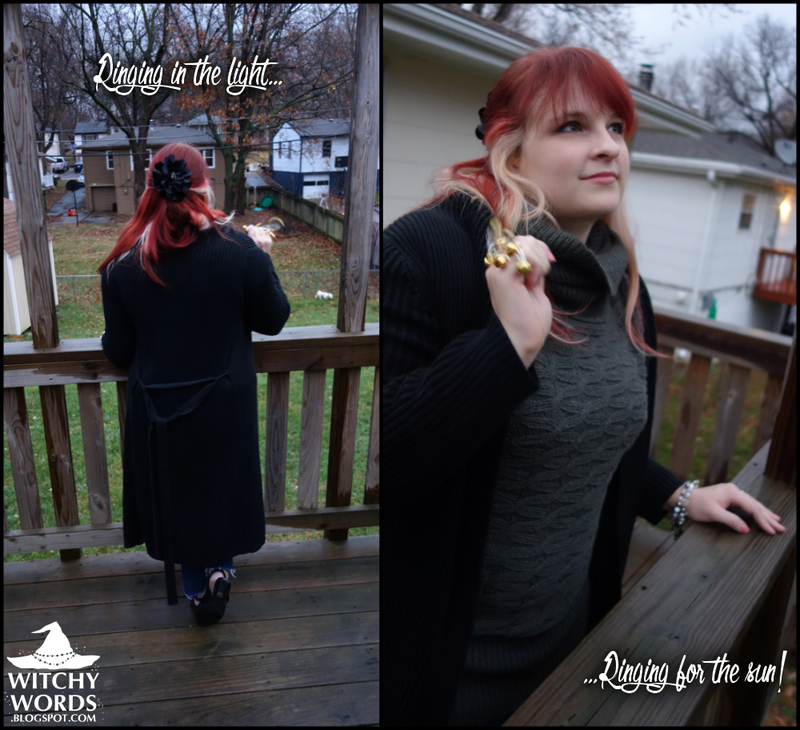 Below are ten crafts, altars, spells and ritual ideas for solitaries that either I personally or other covens have done throughout the past five years. Enjoy! Many of the same decorations used by mainstream religions during this timeframe either originate or can work for the solstice! To see the way I've decorated my home in the past, you can find pictures here, here and here. 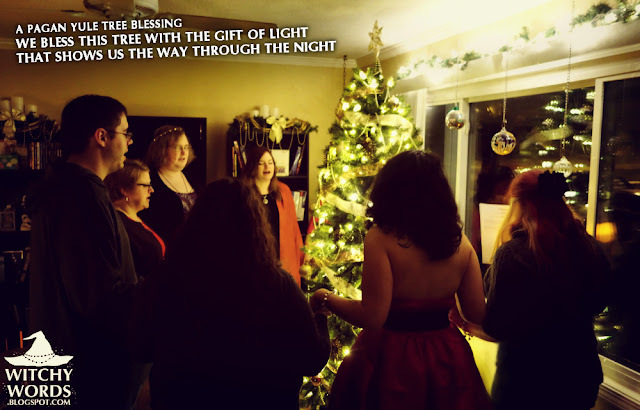 Chant a blessing for your Yule tree before lighting it up the night of the solstice, much like I did with my previous circle in 2014. For full instructions on how to create this, click here! Burn a Yule log topped with your favorite herbs for good luck and prosperity in the upcoming year, similar to what I did in 2012. 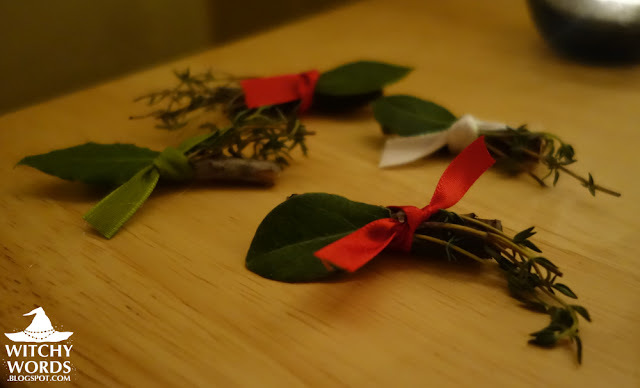 If you don't have a fireplace or fire pit, you can create mini Yule logs out of dried sticks bundled with herbs, like what I did in 2014! These can be burned in a cauldron or fire-safe bowl - just remember fire safety! Set out an offering of raw meat, bread and milk to the Wild Hunt, which passes by during the darker nights of the year. Read more about this in my ritual from 2017! To honor the longest night and welcome the coming of the sun, light candles around your home like my previous circle did for our 2015 ritual! Write down on individual pieces of paper a series of goals as well as things you'd like to release in the upcoming year. 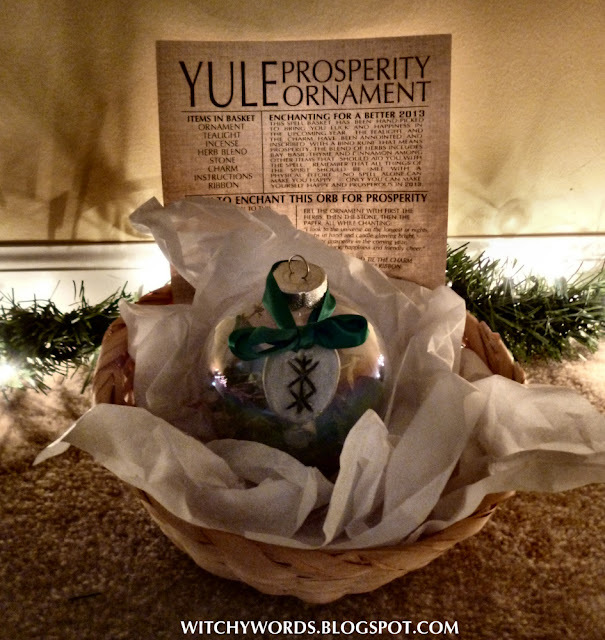 Store them in separate boxes and check on your progress next Yule! Circle of Fountains did this as a running theme for several years. Honor the first light after the longest night by ringing bells at dawn the morning after! We mildly altered this to fit for ritual in 2014. 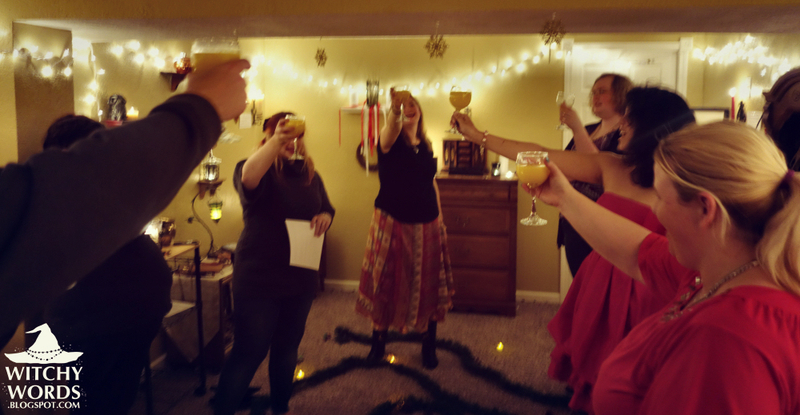 Toast the first light of the sun following the solstice with a glass of orange juice, like Circle of Fountains did in 2014. Whatever you choose to do, I wish you a warm solstice full of laughter and joy!